Where to sleep, eat, and shop this month. It’s January. It’s the start of the year. See what caught our editor’s eyes in this edition of The Directory, a new monthly column where we share what we’ve dabbled in and what we’re keen to try next. We’ve included spots that are new or are now doing something fresh that’s worth checking out next time you’re out and about. Do something new this month? Did we forget you? Drop us a note. Fresh Catch lives up to its name by offering fresh seafood with a Mediterranean theme. Co-owned and operated by one of Saigon’s most serial restaurateurs, Fresh Catch doesn’t disappoint. It introduces a fresh take on seafood that few others can match. 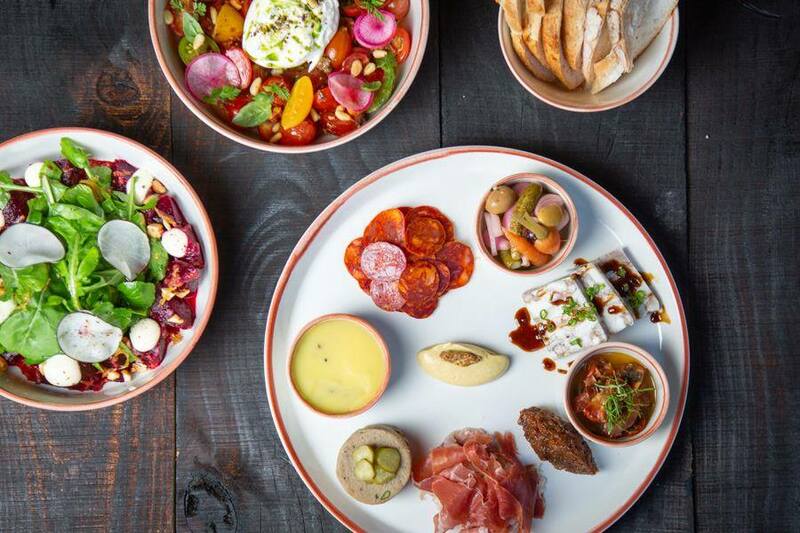 Curated with a Mediterranean flair, be on the lookout for more from this brand as they continue to develop their menu. Our favorite time to visit is for their set lunch or their weekend brunch. 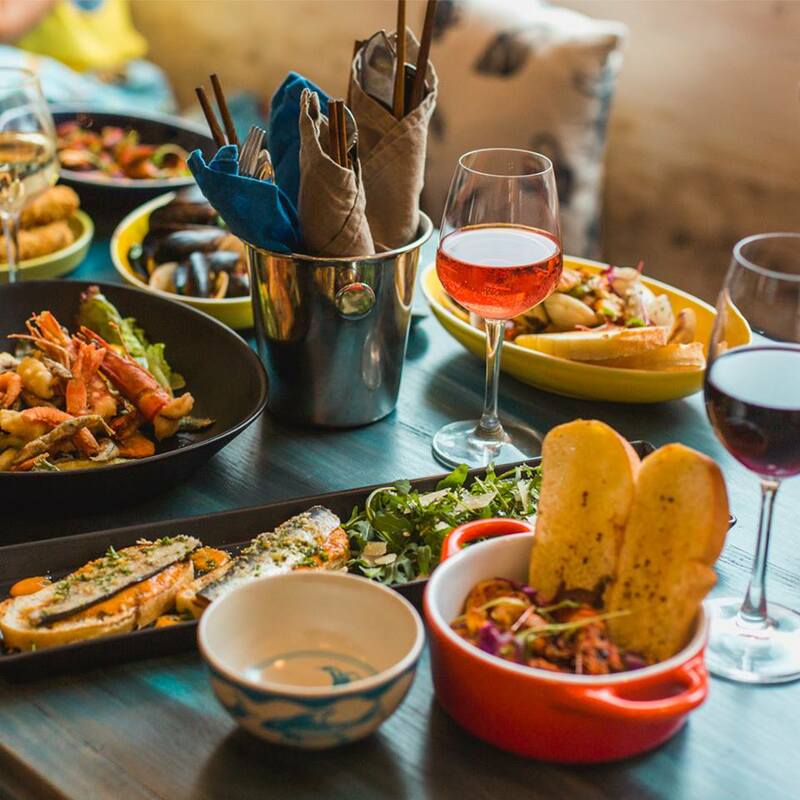 If you find yourself in Hoi An, stop by ThirtySeven Woodfired Grill + Bar for a river side dining experience. It seems this month’s edition of The Directory is headlined with serial restaurateurs. We headed up to Hoi An to close out 2018 at Chef Duc’s new restaurant, ThirtySeven Woodfired Grill + Bar, situated next to the Thu Bon River, just outside of Hoi An’s old town. Dine on a variety of grilled, smoked, and slow-burned meats sourced from local farmers and fishermen. After your meal, spend some time upstairs at the Hoi An Cigar Club. With its mosaic flooring and retro decor, Okkio Caffe is outfitted for snapping selfies and sipping coffee in style. Instagram-worthy design is a must in Saigon for the everyday cafe in this age. Okkio doesn’t disappoint in that regard. 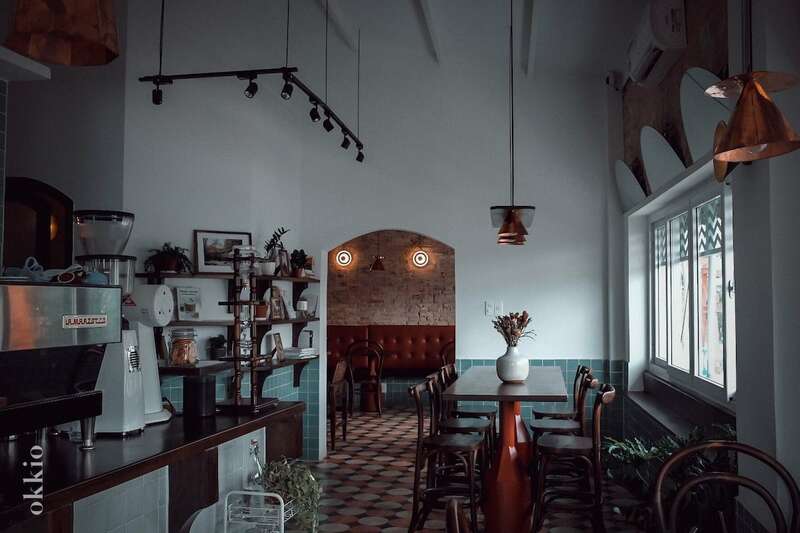 Started by a young professional couple, both with careers in finance, Okkio Caffe is set on the upper level of an old building that features a corner view of Ben Thanh Market. Its charm is matched by the quality of its coffee pour. Set on an inlet in Quy Nhon, Quan an Bong Benh has become a local favorite for its fresh seafood. Earlier this month we visited the sleepy seaside town of Quy Nhon, set in the south central coast. 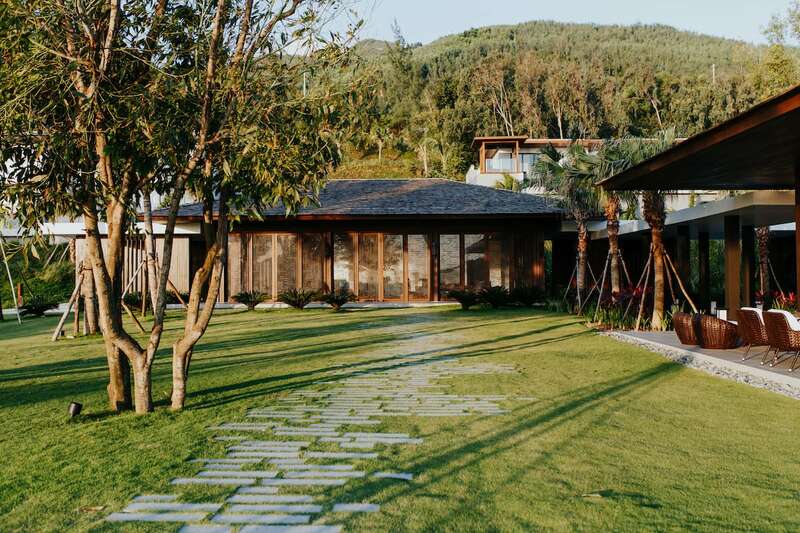 While our visit was headlined by our stay at the immaculate Anantara Quy Nhon Villas, we were no less impressed by the offerings at Quan an Bong Benh, which translates to ‘floating restaurant’ in Vietnamese. And floating it is. It’s set by the ocean with views to match. 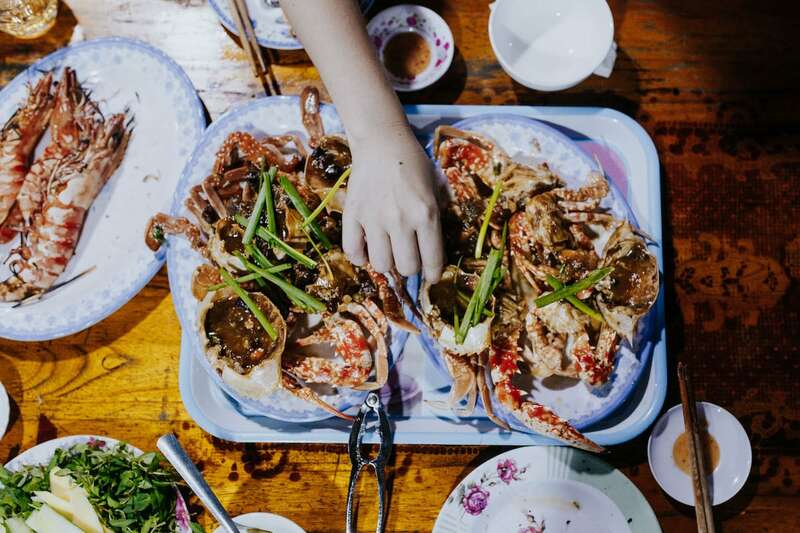 Come here for Quy Nhon’s best seafood in a local setting. Say hi to the owner too. We stayed late, making it hard to hail a taxi. He was nice enough to drive us home, a 15 minute drive back to the hotel. Anantara Quy Nhon sports immaculate service and luxurious accommodations. This month, we’re focused on the luxury segment for sleep which first takes us to Quy Nhon. 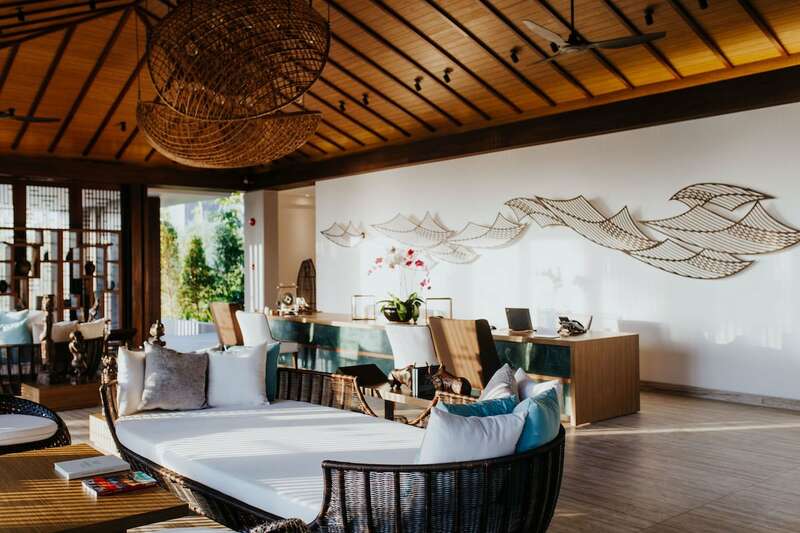 The newest addition to the family of Anantara hotels, Anantara Quy Nhon Villas is a 26 all-villa property set on the beach with views that few can beat. The service is spot on, as you would expect from the Anantara family. Azerai Can Tho’s rooms open up to sweeping views of the hotel’s lush surroundings. 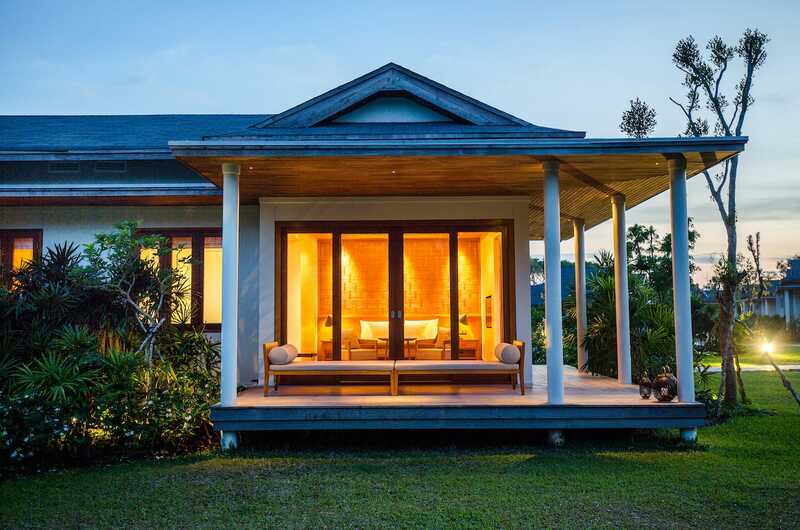 One of Southeast Asia’s newer brands, Azerai has been in Can Tho for just over a year. As with all properties it takes time to settle in. Perhaps more so in a destination like Can Tho which is not on many travelers’ radars. Our stay did not disappoint. Featuring top class amenities and interior design, the serene Azerai Can Tho is set on a private island that is rich with greenery. Our favorite part of the island? Its abundant collection of banyan trees. Access to the island is only by private speedboats. Come here for a relaxing one-night away from Saigon. Or maybe two. 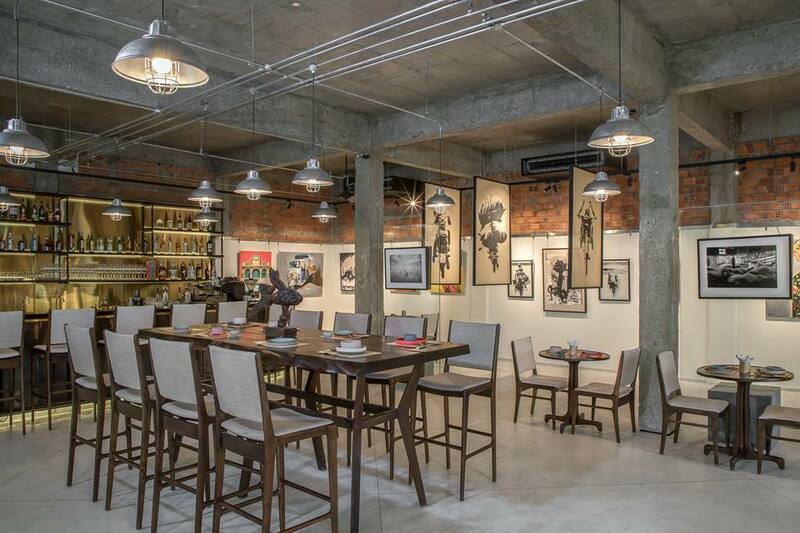 Rising popularity has made a visit to one of Réhahn’s Couleurs Gallery a must when in Saigon. As Réhahn’s profile continues to grow in Saigon, so does its footprint in the city. 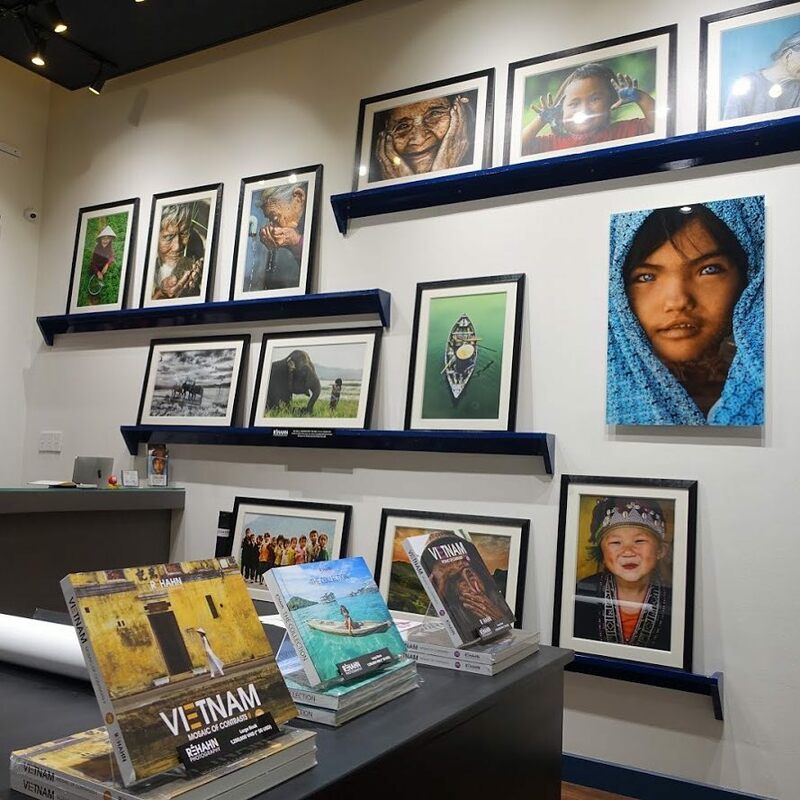 With its now third location in Vietnam, and second in Saigon, the newest Couleurs Gallery is set inside the iconic InterContinental on Le Duan street. A not-to-miss on your next visit to the city. Since it opened in 2018, art space has treated visitors to a memorable art and dining experience. An art gallery and restaurant in one. One of Hoi An’s newest additions is art space, an art and dining concept venue, set in a relaxed setting just outside the bustle of the old town. The indoor space is home to art on display from a range of local and international artists. On the outside terrace, the art space is headlined by its wood-fired oven. A much needed al fresco dining addition to Hoi An in a more refined setting.